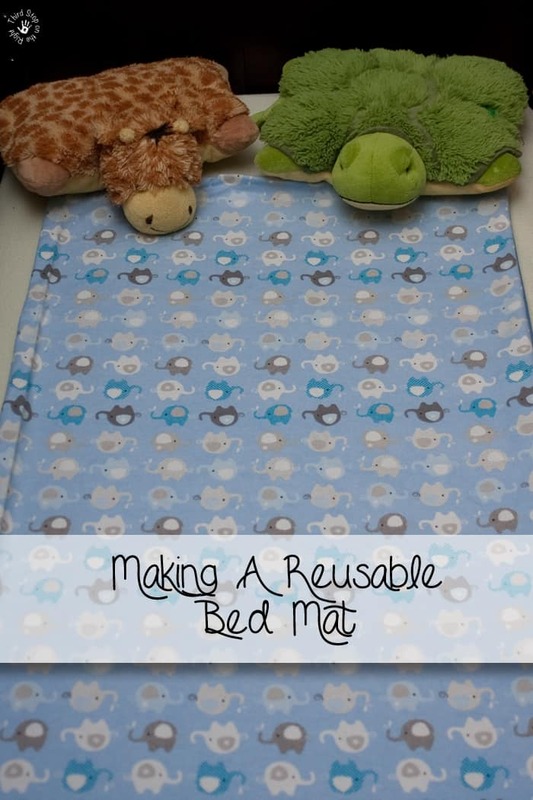 You are here: Home / Uncategorized / Creating a Reusable Bed Mat: Because Childhood Bedwetting is Normal! 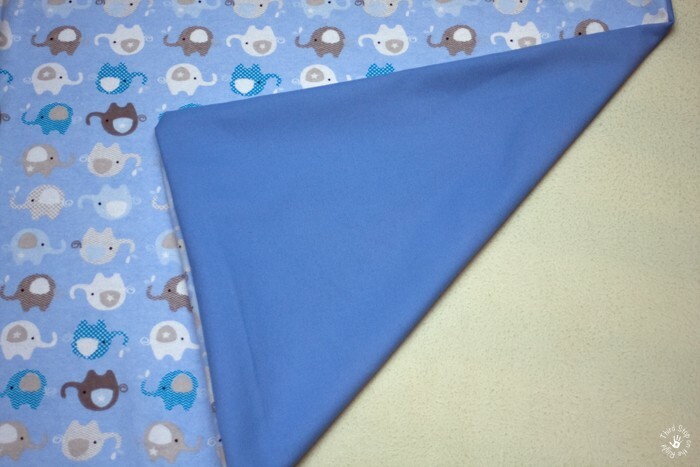 Creating a Reusable Bed Mat: Because Childhood Bedwetting is Normal! As if daytime potty training isn’t hard enough on its own, nighttime bedwetting can be sheer torture — for kids and for the parents. You think that you have everything that you need: nightlight, GoodNites training pants, and even a plan, but as all of us who have planned in the past know, plans don’t always go according to how you want. Recently, I have begun to potty train Baby R. We have been doing well during the day, but I know that at night we aren’t even close. Even Little E has trouble from time to time. Here’s the thing though, if your child is still having nighttime wetting problems, you aren’t alone. It’s easy to see children of friends and family who seemed to potty train really easily when you are here begging your child to at least “try” to go on the potty. What you don’t see is that many of these kids (and parents) still struggle with bedwetting at night for several years after they have daytime potty trained. In fact, 1 in 6 kids ages 4 to 12 wet the bed once or more per week after even after they are potty trained! When your child has a nighttime wetting accident, one of the last things you as a parent wants to do is to have to strip the entire bed, all the way down to the mattress. In the meantime, of course, your child has now become wide awake and you know that you are going to have to struggle for at least an hour to get them to go back to sleep. Fabulous. That’s why I love these homemade flannel bed mats. It helps to keep the sheets and mattress dry while still being fun and something your child won’t feel embarrassed about. Plus, you can make them in some really fun colors and designs. Most importantly, however, is that not only are they reusable but they are also inexpensive and easy to make! 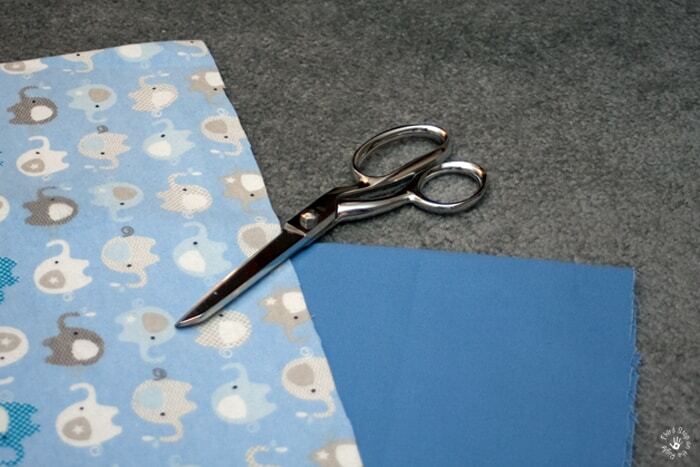 You will want to begin by cutting both of the pieces of fabric into an approximately 18″x36″ section. Make sure that the “right” side of the flannel is face down on top of the “right” side of the canvas material. 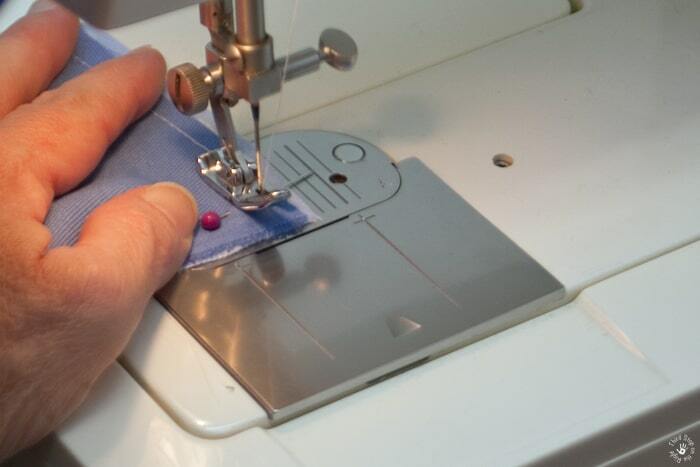 Using your sewing machine, stitch a straight line around all of the edges of the mat, but be sure to leave one small corner open. Once you have stitched almost the whole way around, bring the fabric through the open part so that the fabric is not right side out. Then stitch the opening closed as well. I told you that it was going to be easy! Now all that is left to do is place the mat on your child’s bed. I put it on top of the fitted sheet so that if either of the boys has an accident at night, I can simply lift off the bed mat and put down another one. It’s a quick change so I don’t have to worry about fully waking the boys up either. Trust me, this has been a lifesaver! This would also be helpful with olde people or people to sick to get out of bed! When you mention “canvas type fabric”, are you speaking of the home dec type of fabric, or the vinyl coated fabric? I love your idea and want to make some for my daughter. It was the kind of canvas that they use for indoor/outdoor pillows. I used the flannel for the side that the child sleeps on since it is softer. Was the canvas indoor/outdoor fabric? For adults, the bed mats have quilted fabric instead of flannel and a nylon type fabric. 34 x 36. Great idea! I used the heavier kind that they use for outdoor pillows/etc. Also would be great during tummy bug season……maybe in a larger size….. If mafe on a larger svsle, do you think these mats would help with mild adult night time incontinence? I have senior parents that could benefit from this. I think if you made it larger it would also be perfect for adults!